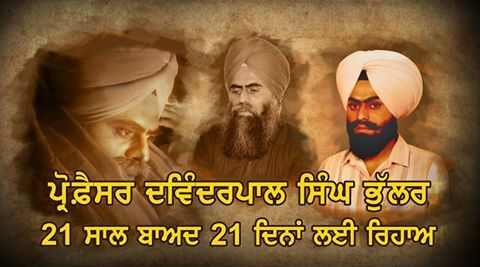 AMRITSAR SAHIB, Punjab—A day after the release of political Sikh prisoner Bhai Gurdeep Singh Khera, Prof. Devender Pal Singh Bhullar’s parole for 21 days was approved by the Punjab government. Prof. Bhullar was released from the detention center at Guru Nanak Dev Hospital at 8:30 pm following completion of necessary documentation. Prof. Bhullar’s release from jail was being awaited keenly by the Sikh masses since dropping of TADA charges against him. Prof. Bhullar’s release from the Psychiatry Ward of Guru Nanak Dev Hospital was approved by the head of ward Dr. P.D. Garg just moments ago. Warmly welcoming Prof. Devender Pal Singh Bhullar’s release, Bapu Surat Singh Khalsa said that tireless efforts of Sikh community have defeated prolonged injustice by the Indian government. Talking with Sikh24’s correspondent, Sikh activist Bhai Papalpreet Singh said that the release of Prof. Bhullar has become possible due to more than year long struggle of Bapu Surat Singh Ji Khalsa. He added that the Punjab government has been committing immense atrocities on Bapu Surat Singh Khalsa since very first day of his struggle. “Bapu Ji has endured a lot of physical and mental torture by the state but he didn’t give up his stance for the release of political Sikh prisoners,” he added. 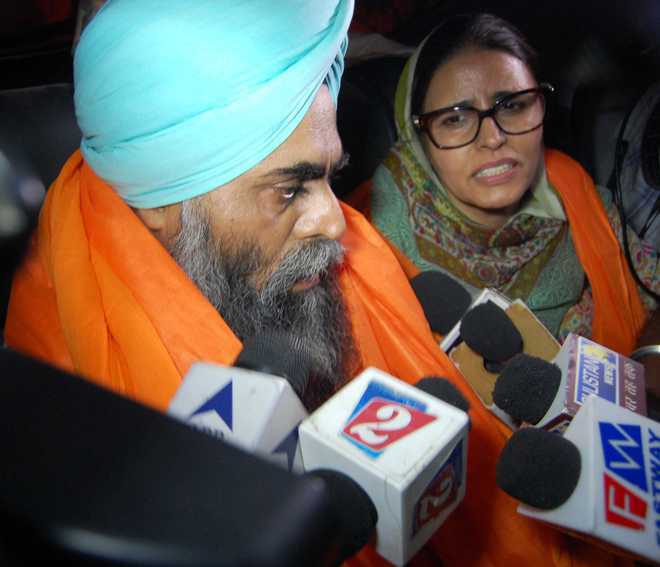 Prof. Bhullar is expected to reach his native village tonight.